We started to write a background for this interview in order to give it some context. That turned out to be much longer than we anticipated and is still growing, but this interview needs to be posted now. All that really need be said is that there was not much respect for Jane Fonda until she went to Vietnam at the time. Also, it was after LBJ and during Nixon. However, LBJ, Nixon, and Carter did not make much of an issue over the trip.at the time. Another noteworthy thing is that Ford actually ended the Vietnam War, not Nixon. Still, it wasn't until Ronnie Ray Gun that the term Hanoi Jane became such a big issue. AMY GOODMAN: This is Democracy Now!, democracynow.org, The War and Peace Report. I'm Amy Goodman. We're broadcasting from Park City, Utah, from the Sundance Film Festival, as we turn to the subject of a new HBO documentary premiering here at Sundance about another icon, maybe one of the most iconic and controversial actors in Hollywood. She's a girl next door, political activist, fitness tycoon, feminist, Academy Award-winning actress. I'm talking about Jane Fonda. Filmmaker Susan Lacy examines Fonda's remarkable life in the documentary Jane Fonda in Five Acts. Fonda's acting career spans six decades and includes performances in such critically acclaimed films as Klute, Barefoot in the Park, Coming Home, and the current television series Grace and Frankie. But as actresses in Hollywood are being recognized for speaking out in the Time's Up movement, Jane Fonda has consistently challenged power, from opposing the war in Vietnam to organizing around civil rights and economic justice. In one of her more controversial moves, Jane Fonda traveled to Hanoi in 1972 and appeared on several radio programs to speak out against U.S. military policy in Vietnam and beg American pilots to stop bombing civilian targets. During the trip, a photograph was taken of Jane Fonda seated on an anti-aircraft gun in Hanoi. The photo earned her the nickname "Hanoi Jane," which was resurrected just this week by NBCmorning show host Megyn Kelly, formerly of Fox News. MEGYN KELLY: After all, this is a woman whose name is synonymous with outrage. Look at her treatment of our military during the Vietnam War. Many of our veterans still call her "Hanoi Jane," thanks to her radio broadcast, which attempted to shame American troops. She posed on an anti-aircraft gun used to shoot down our American pilots. She called our POWs "hypocrites" and "liars" and referred to their torture as "understandable." AMY GOODMAN: Jane Fonda has repeatedly apologized for the photograph. In her 2005 memoir My Life So Far, Fonda says she remembers immediately regretting taking the photo. She writes, quote, "Oh, my God. It's going to look like I was trying to shoot down U.S. planes! … It was my mistake, and I have paid and continue to pay a heavy price for it." Well, Jane Fonda also continues to speak out. I caught up with her after Saturday's Respect Rally here in Park City, after the premiere of the documentary about her life. In December, she celebrated her 80th birthday. AMY GOODMAN: Jane Fonda, it's wonderful to be able to speak to you on Democracy Now! JANE FONDA: I can't tell you how happy I am that we ran into each other and that I'm here with you right now. JANE FONDA: Trump is a major negative energy. And when he moves out in the world, it releases positive energy from other people. So, in a way, there's something really good about it, because people are being enlivened, emboldened, activated, that never were before. We have an opportunity now to really, really make a difference, because people are recognizing what's at stake. It's never been this clear. You know, oftentimes you had to go to another country to see what could happen, but this is actually—our democracy is being threatened, and I think people are awoke. JANE FONDA: I think it's—I didn't expect it, and I'm really deeply moved by it. You know, as I have said before, it was the fact that white—famous white women spoke out and were believed. Black women have been speaking out long before. The most noted, of course, is Anita Hill. But I have been in the meetings, and the women that make up the Time's Up movement are really—they're young. They're smart. They understand intersectionality. And this isn't going to go away. This is happening. It's a tipping point. It really is. We're living through a historic moment now. JANE FONDA: Frankly, I don't think so much. I don't think Hollywood frames the news so much. I think, unfortunately, corporations, more and more, are framing the news. You know, I'm working with Restaurant Opportunities United in Michigan a lot, on the ground. And what scares me, as I travel through Michigan, is the degree to which average people are not getting news. The television stations, the radio stations are being bought up by Sinclair and others. And this is—it's really scary. And, you know, I think that corporations are determining what people hear. There are some exceptions, obviously—you know, you, MSNBC at night and others. But that's why it's so important that people are on the ground talking to people door to door, you know, working within real organizations that have experience of doing this kind of door-to-door work. Because what have we learned? We've learned you can't say anything bad about Trump. You can't. You have to tell them something they don't already know. For example, we were canvassing in San Diego. A woman who had just lost her job, she had four children, one with a serious precondition, a mother. She was supporting them all. She was really scared, a 100 percent Trump supporter. Why? "Because he understands me. He's my people, and he's authentic." And so, the canvasser, who happens to be an actress, who plays my daughter in—my eldest daughter in Grace and Frankie, said to her, "Well, do you know that if Trump's healthcare package passes, your son will lose his precondition insurance coverage?" And the woman stopped breathing. And she didn't know that. And she flipped, right there. And, you know, that, to me, is a dramatic example of how important it is that we find a way to keep real news reaching people. And it can't come from Hollywood or the Democratic Party, for that matter. AMY GOODMAN: Now, you've gone back and forth—an actress, an activist—and you seem to traverse these worlds quite comfortably. You went to Standing Rock, to the standoff at Standing Rock. Why was that so important to you, the battle against the Dakota Access pipeline? JANE FONDA: Well, I'm worried about the planet. I'm worried about—you know, all the scientists, who really know, say we cannot take any more oil or gas out of the ground. We have enough. We can do without. We can make the transition to renewables without drilling anymore. So, A, I knew it wasn't necessary. I knew that it didn't even make economic sense, because the price of oil had dropped so much. But also, in 1970, I went to Alcatraz, when indigenous people from the Bay Area occupied Alcatraz. So, I was there. That was like the beginning of the American Indian Movement. All these young people, who had never—they didn't know their elders. They didn't know the Thomas Banyacyas—the great Hopi shaman. They didn't know about the traditions and the ceremonies. And Wilma Mankiller, who was the chief of the great Cherokee Nation, that was where she first connected with the elders. And then, fast-forward to Standing Rock, and seeing the degree to which the traditional rituals and ceremonies have taken hold and have really saved lives meant so much to me. It was very, very moving to me to see that, and then also moving to me because, with all that us white Europeans have done to indigenous people, and just there's no end to the horrors and atrocities we've visited upon them, and yet they're still there trying to tell us how we have to do things differently. They're still hoping that they can have some influence to show us the way to go. They've never given up on us. It's so moving to me. AMY GOODMAN: We're here at the Sundance Film Festival, and we just came from a premiere of the documentary about your life, Jane Fonda in Five Acts. And it talks about your early years as Barbarella in Hollywood and then that shift to activism. You just plunged into it, in your battle against the Vietnam War, supporting of Black Panthers. Talk about the transition you made. And I'm my father's daughter, you know? I'm the daughter of Tom Joad and 12 Angry Men and all those—Abe Lincoln, those characters that he played. And I thought, "What am I doing? I should be there." And with the encouragement of Simone Signoret, I went. I left, and I went there. JANE FONDA: Well, you know, dad, I love him so. You know, he had lived through the McCarthy era. He had seen careers destroyed. He was really scared for me. He didn't entirely understand. I would bring, you know, like Green Berets and grunt soldiers to talk to him about what their experience was in Vietnam. But he couldn't go where I was. You know, it was a generational thing, and he just didn't understand. And he was scared when I started to investigate the Black Panthers. And I went to visit Angela Davis when she was in jail. And it scared him to death, because he thought that I was going to fall victim to the same kind of witch hunting. But it wasn't the same. It was maybe greylisting, but it wasn't blacklisting. But whatever he said to me, which was pretty hard for me to take, came out of his love and fear for me. JANE FONDA: California Campaign for Economic Democracy. Here's how it went. See, this was a statewide organization that made a huge difference in California. We elected people that are still serving in public office in California. And so we had to raise a lot of money, because we had a lot of chapters. And there was a recession. And I read an article that Lyndon LaRouche—that really bad, but very wealthy guy had a computer business that would fund people that would hold those signs at the airports and go into gay bars, and his people would beat gay people with chains and stuff like that. And I read an article that said that he supported all that with this computer business. And so, I thought, "OK, what business can I go into that could make money?" And it was the workout. JANE FONDA: And come up. Get on your hands and knees, weight evenly distributed on your hands. These are called "Rover's revenge." AMY GOODMAN: Talk about how much money we're talking about here. You blew everyone away. JANE FONDA: Two years. Two solid years. That is what caused The New York Times to start separating it out into categories, because to have the workout book competing with, you know, Philip Roth or somebody didn't make any sense. And it must have been hard for Tom, you know. That was a difficult period for our marriage and for him. JANE FONDA: I was an activist when we met me. We were together, arm in arm, on the road, doing this incredible Indochina peace campaign thing. And we really did help, although it's not in the Ken Burns documentary, but we did help end the war. And then the war ended, and I started the workout business, because we were starting this political organization. And the workout business kind of drove a wedge between us, and it was difficult. And also, I started to become more successful as an actor, so it took me away from him. AMY GOODMAN: You talked about your antiwar activism, the trip you made to North Vietnam. You did something that you don't see a lot of politicians doing today. And you have said you felt sorry for one part of what you did back then. Can you explain the trip you took to North Vietnam? JANE FONDA: Yes. I went to North Vietnam explicitly to stop the bombing of the dikes, which we had been told, by European diplomats that were in the North, was happening. We weren't, of course, getting it in the news. And I knew that that was catastrophic, because, you know, the North—North Vietnam, like Holland, is below sea level, and the dikes are made by the peasants by hand. They're earth. And if they're destroyed before the monsoon season, there was a great likelihood that people were going to drown and starve. 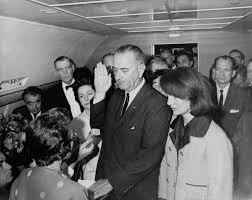 And it had been proposed to Johnson, when he—Lyndon Johnson, and he said, "No, we can't do that. That's what Hitler did when he bombed Holland. We can't be responsible." But Nixon said, "Yes, let's do it." And so I wanted to go and expose that. And I remember, you know, they gave me a—the North Vietnamese gave me a preliminary agenda. And on the agenda was visiting an anti-aircraft gun. And I said, "No, I don't want to do that. I don't want to visit that." JANE FONDA: I didn't think it was appropriate. I was there by myself with—for two weeks. And the things that happened to me there, I mean, we couldn't put it all in the movie, but, I mean, just for—I don't know if we have time, but just let me just tell you one story—or two stories. I was driving back with my translator in a car from a city that we had visited. It was an industrial city in North Vietnam that had been destroyed. And on the way back, the driver could hear that there were planes coming. And I couldn't hear yet, but they said, "Get out and run." And there are these manholes along the side of the road with kind of straw things that you put over. And a woman, a young girl, grabbed my arm. And she had schoolbooks with her. And she pulled me into a hole. I mean, I just—I went in. She pushed me in, and then she jumped in. These were made for one person, and we were like smooshed up against each other. She pulled the top over, and the ground started shaking as the bombs fell. I kept thinking, "This is not true. It's like it's—this is a dream. This isn't really happening." And when it was over and the bombing stopped, she took the lid off, and I started to cry. And I said to my translator, I said, "Tell her I'm so sorry. I'm so sorry that we're doing this to your country." You know, she was maybe 15. And she said to me—at least I think she said to me—this came through a translator—"Don't be sorry. We know why we're fighting. Your"—I can't remember her exact words, but it was something like, "Your soldiers and pilots, they don't know why they are doing this. It's your tragedy, in a way," something like that. And it couldn't have been planned. It was just out in the middle of the country. So, that really brought me up short, this 15-year-old girl who's saying, "No, we know—we may lose people and soldiers, but we know why we're fighting. The tragedy is yours, because you don't even know why you're fighting." So that's one story, that just made me reel. The other is, on the day before my last day, the last day being the day where I sat on that anti-aircraft gun, I was asked to look at a production of Arthur Miller's play All My Sons, performed on a platform outside, in Vietnamese. And it's a story about a factory owner who makes parts for bombers, and he has two sons. One of the sons is a pilot. And his son crashes. And the younger son knows that the reason—the father has known that his factory was making faulty parts for bombers, and he didn't speak up, because he didn't want to lose his government contract. And he's condemned by his younger son. So, OK, I see this play. I'm sitting next to the director. I said, "There's a war going on. Why are you taking this"—it was being toured through villages that had just been bombed. JANE FONDA: North Vietnam villages that were being bombed. And they're taking this play by Arthur Miller. I said, "Why?" And he said, "We are a tiny country. One day we will have to be friends with you. Our people have to understand that there are bad Americans and there are good Americans." And I was—I don't—I was a changed person. The whole idea of friend-enemy, strength-weakness, was turned on its head. And the next day, they said, "We're going to take you out to the ceremony." And I went, and it was—there were these soldiers standing, and they sang a song with the words that Ho Chi Minh had written when he made his address in the square in Hanoi. And his speech began, "We hold these truths to be self-evident, that all people are created equal." This was in the words that they sang, because he had been a cook in Harlem, and so he knew about our Declaration of Independence. And these soldiers sang. And then they asked me to sing, and we were laughing and clapping. JANE FONDA: Yeah, but, see, here's—here's what's interesting. It wasn't that much of a firestorm in the beginning. There was only like an inch of press in The New York Times. And a few months later, we launched our Indochina peace campaign at the Ohio State Fair. No big deal! I mean, Nixon was very unhappy, and they did an investigation. And, you know, a guy from the State Department said, "She never committed treason. All she did was ask the soldiers to think." It wasn't until Reagan that they realized how important it would be to use my huge mistake to make me, you know, a "Hanoi Jane," a traitor, you know, to hurt the peace movement. And that's what hurts me so much, is that it was bad for the peace movement, and it hurt the soldiers. So, it was a big mistake. Anyway. AMY GOODMAN: Interestingly, today, with the longest war in U.S. history, Afghanistan and Iraq, a number of soldiers who come back from all of these places are condemning these wars and asking what the U.S. is doing. You don't usually hear those soldiers in the media. JANE FONDA: Yeah. Well, just like you didn't hear those soldiers back in the day, or the POWs who spoke out and said, "No, we were not tortured." The Vietnamese ruled out torture in 1970, but you never heard from them. Nixon never allowed them to have a platform. JANE FONDA: If I can change, anybody can change. I know—and now we see it all around us—the extent to which people can say, "Oh, my god! Our way of life, our value system is being turned on its head. We have to stand up and fight!" And that gives me tremendous hope. I think it can make a big difference. Sometimes you have to hit bottom. I have a lot of experience with alcoholism. You have to hit bottom before you can start to heal. We've hit bottom, and we're going to—we're going to come up from this. AMY GOODMAN: In the film Jane Fonda in Five Acts, the last act is what you're talking about right now, in living your life, and particularly your life with your women friends. Talk about the importance of women. JANE FONDA: Harvard did a medical study that showed that if you don't have women friends, it's as dangerous for your health as smoking. And I totally believe it. Women friends are different than men friends. I've studied it. There have been studies done. Women go deep, eye to eye, face to face. We drill down. Men tend not to. And it's sad, because it makes them more vulnerable in the long run. Friendships between women are lifesavers. I mean, you know, whether Pat Mitchell, Eve Ensler, all my—Paula—all my women friends make me strong and keep me going and inspire me so much. And so do you, you who got arrested at Standing Rock. I never did. You're so brave. JANE FONDA: Well, I'm doing a lot of things, but one of the things that I'm doing is, when I've spent time in the Central Valley of California or in all different parts of Michigan and I see how, little by little, local TV and radio stations are being bought up by the "alt-right," by the tea party, and that really scares me. You know, people aren't getting the information they need. And so, that's something that we have to fight and protect. We need a robust pipeline of real news, and then we have to get content in there. You know, all through the South, there's, you know, many, many hundreds, if not thousands, of black-owned TV stations and radio stations that operate on a dime and that, you know, need support and bolstering and reinforcing, and need content. And so, that has to happen. And then, also, I've worked with restaurant workers. And one of the things that I've learned, that really points to the importance of what Time's Up is doing, restaurant workers on—the federal government says they can earn $2.13 an hour plus tips. Well, you can't live on that. And even in states where that low wage has been lifted a little bit, they're totally dependent on tips, so they have to not only tolerate, but even encourage, sexual abuse, because guys tip more that way. And these are often single women who are supporting families. There are seven states that don't have the two-tiered system, where waitresses earn the same minimum wage that other workers do. And in those seven states, sexual harassment dropped by 50 percent, which, to me, is this concrete example of why economic parity and decision-making parity is critical, if we want to do away with violence against women. So I'm working with ROC, Restaurant Opportunity Centers United. AMY GOODMAN: And looking forward to—despite the fact you said this is your last act, I'm looking forward to the next act. JANE FONDA: OK. I'm looking for to your next act, too. Thanks, Amy. AMY GOODMAN: That's Jane Fonda, political activist, feminist, two-time Academy Award-winning actress. The new film about her is called Jane Fonda in Five Acts. Illustration: It's been awhile, but the above illustration is apt right now. Once Poll listed Kucinich as fourth in Hew Hampshire. I had been wondering whatever happened to Tom Hayden, below, as he evaluates the presidential candidates. He was one of the earliest in the SDS back in 1964-65 and played a supporting role in the Trail of the Chicago 8, er 7 after Bobby Seals, evn while handcuffed, and gagged, kept trying to represent himself in the absence of his attorney, Garry. He later married Barberella who then married Ted Turner. She is better now. which they believe can and must be militarily defeated. border regions and to Kurdistan, Kuwait, Qatar, and Afghanistan. 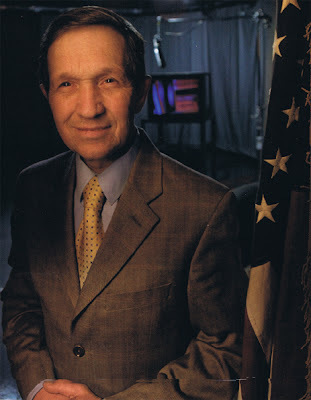 course, *Dennis Kucinich* is an anchor for the anti-war community. troops in 12-18 months, and diplomatic peace initiatives. favoring the intensifying of training for Iraqi security forces. latest nuances*. He favors a steady withdrawal taking 16 months. "short term" to Iraq in the event of genocide against civilians. Obama seems trapped between his tendency to build a "new center"
change in exchange for Iranian cooperation in regional stability. the interests of the region, to Israel's interests." [NYT, Mar. seen in the long campaign ahead. war to health care for veterans and all Americans.